The German view of the eurocrisis is as follows. They believe that the crisis was caused by too much debt, as in Greece. They believe this is the case in very country facing trouble, not just Greece. In particular, they think this is true of Spain. The solution then is to cut debt. Eurobonds make it easier for the Spanish government to borrow and increase debt. 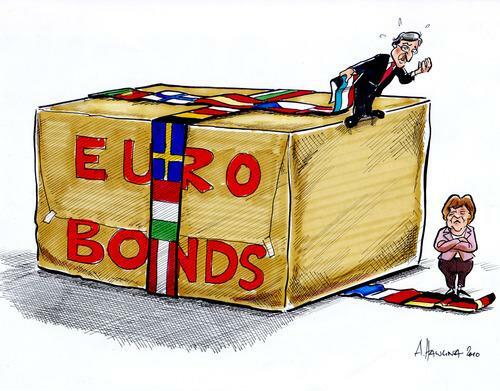 Hence, not only are Eurobonds not the solution to the crisis but they will make it worse. Therefore, Germany does not support the creation of Eurobonds. This view is internally consistent and has many corollaries related to austerity etc. It may not be externally consistent. In some countries there was a pure debt crisis, in others there was a financial crisis perhaps with an associated debt crisis. In the latter case, applying the German theory would be disastrous. There are a lot of other issues with it too. For one, it essentially becomes a bailout since the only reason the Eurobond rates will be lower is because the better off nations are there to back it too and should the periphery nations still be in trouble after Eurobond issuance, the core will have to still pay them off. It is a moral hazard.